If you breakdown delofting the face into its components you can learn more about the face-to-path relationship. Delofting, but keeping the same face alignment requires a few elements. You must close the face to the path. You must swing more out-to-in to balance the path change from hitting it earlier on the arc. Face Rotation With An Impact Bag Feeling face rotation as a powerful gradual movement can be tricky at first. Club Face Too Open Coming Into The Ball If you struggle with the club face being open at shaft parallel, this concept video is for you. 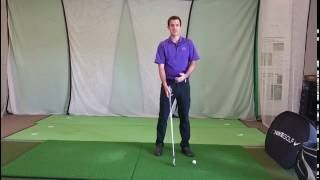 Club Face Too Closed Coming Into The Ball What are your options if you struggle with the club face coming into the golf ball from a closed position. Playing With Face-to-path Learning to recognize and control your face to path relationship is a key skill to lowering your handicap. Does Bowing The Lead Wrist Really Close The Club Face? Find out how to look at this key move in isolation and what it does to the face and path. Screwdriver - Training Face Rotation With A Remote Controller Learn how to square the face with this key movement.